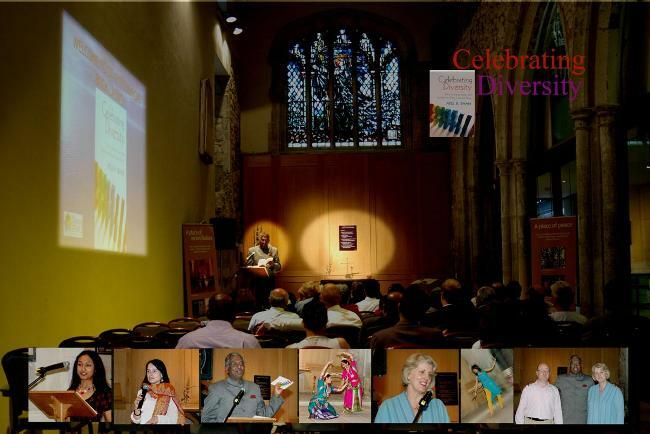 Picture: Images from the book launch of 'Celebrating Diversity' at St. Ethelburgas in London. You have been asked to organise an event around diversity, and do not know what to do or how to go about it. Your firm has decided to have a 'diversity week' to highlight the different cultures of the world and the people who work in your organisation, and you are looking for some practical suggestions. Creativity is the best way to promote understanding of difference - use different music, art, dance, photography, film - and show how much there is to learn from difference. Procter & Gamble gave the event the title 'The Power of Difference' and iHarsh Taneja nvited Dr. Atul Shah of Diverse Ethics to use pictures to show how difference can enrich and transform. Get a dedicated budget to do this event or series of events - remember artists need to earn to survive and are often working freelance on shoestring incomes, so you can help them to help you, and they will give you 150% if you pay them. Get people excited about it, and look forward to it. Diversity week is not just for those 'ethnic minorities' but for everyone, especially those who do not encounter cultural difference ordinarily. I have gone to events where the audience is people who already know a lot about diversity and respect it, rather than those who are illiterate and need to learn. Try to link the theme to your organisational products and activities e.g. if you are a manufacturing company, use the event to show the different cultures of the world that buy from your products and use them. If you are a service company, then use the events to show how the services can be tailored for diverse customers or cultures.